It’s no secret that fast fashion results in serious human rights abuses at the bottom of the supply chain — where 60 million, mostly young women in their early twenties, bring our fashion to life. Makers face unsafe working conditions, unlivable wages, and verbal and sexual abuse in overseas factories. Yet, these issues and the women who face them are rarely talked about during the fashion industry’s largest event, New York Fashion Week. While reveling in the glamour of fashion week, it can be easy to overlook the women who make our clothes, but it’s important now more than ever to stand by our fellow women, whether they’re debuting their latest collection or sewing our new pair of jeans in a distant country. 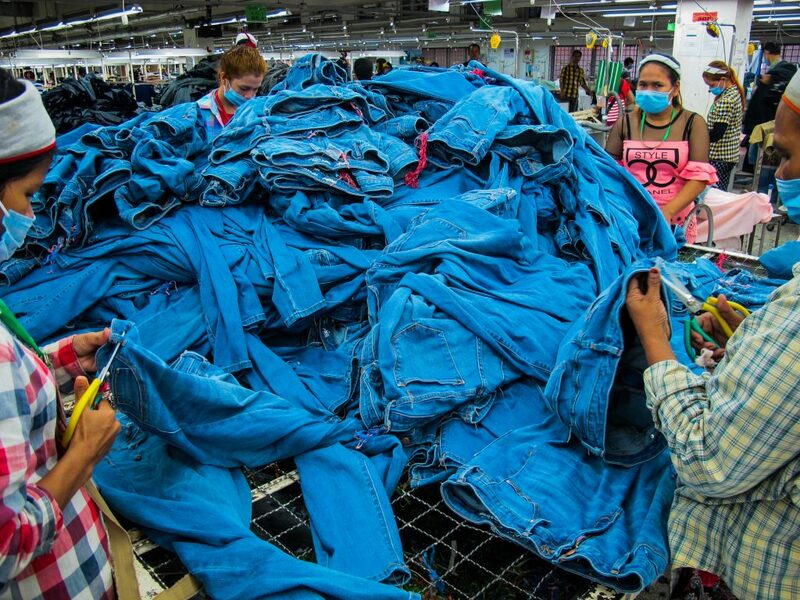 Photo: Remake journeyed to a denim factory in Cambodia, where millennial women ages 18-24 snip threads from hundreds of fast fashion jeans each day to ensure they are perfect. This fashion week, Remakers are calling on all press members, bloggers, designers, models and fashion lovers to bring the conversation deeper than the hottest new runway trend or the prettiest collection. 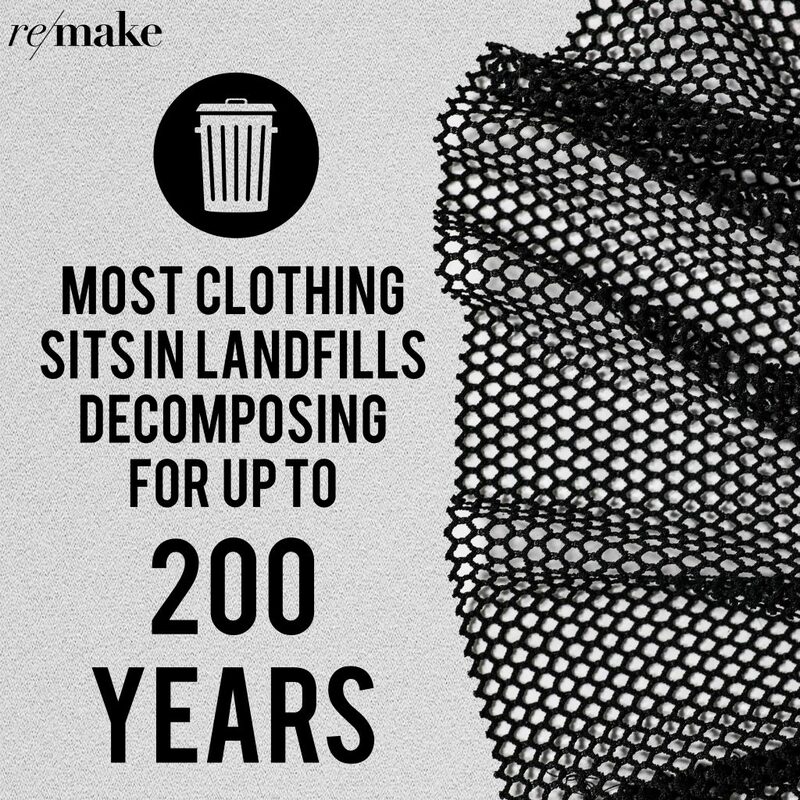 We must stand together to bring meaningful conversation to the forefront of industry talk — whether discussing the staggering environmental or human cost of fashion or celebrating breakthrough designers that are designing with intention, keeping people and the planet in mind. Photo: As seen on Just Jared, influential fashionistas including Olivia Culpo and Nicky Hilton line the runways at NYFW to celebrate the latest trends. Do they know about the supply chain behind their favorite looks? That’s why on September 14, Remake x Oslo Freedom Forum are inviting New York Fashion revelers to “Wear Your Values” at NeueHouse’s penthouse in Manhattan. Guests will participate in an immersive interactive experience, tracing the life of a garment from the sourcing of raw material with the recreation of a Haitian cotton plantation by BMF Media and Thread International, to the chemicals and human effort behind textile creation, manufacturing and end of life with a clothing landfill installation. The mix of art, VR technology, film, photography will inspire us to think about the women behind our fashion differently and be excited about conscious designers. Join us on the 14th to change the conversation. Help us share the stories of the women who make our clothes and support the designers and activists who are breaking the fast fashion mode. Together, let’s remake New York Fashion Week.